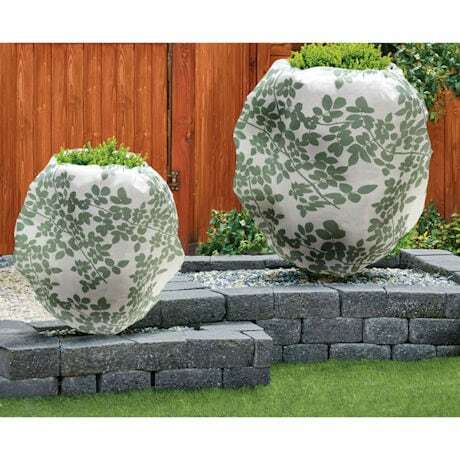 Better than burlap or plastic, these Shrub Jackets will protect your expensive landscaping from harsh winter winds and hungry animals. Top and bottom drawstrings keep these protective, but breathable jackets snug throughout foul weather and can be reused for years to provide effective protection. 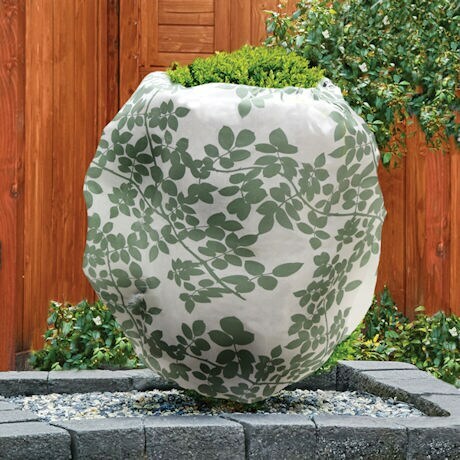 Fits shrubs up to 4 ½ ft. W x 4 ft. H 100% Polyester.